Condorrat Parish Church will play host to an Alpha course, starting on Monday 9th April from 7pm until approx. 8.30pm for around ten weeks. Alpha is a course designed for those who want to know more about Jesus, the Christian gospel and God. If you would like more information or want to come along, please leave us a note with your contact details. We’ll pass them on to the organiser and get back to you. You can also find out more about Alpha courses on their website. Abronhill Parish Church have announced plans to start evening worship services in the church each week, starting on Sunday 17th September at 6.30pm. The initial theme will be on God’s mercy and grace as outlined in Romans chapter 1. As always, all are welcome to come along. The Week of Prayer for Christian Unity is traditionally observed from from 18th – 25th January and Cumbernauld Churches Together will be participating as usual this year. There will be a short act of worship at the Church of the Holy Name, Fleming Road, Seafar on 18, 20 and 22 January at 12 noon to which all are invited. A simple soup and sandwich lunch will be available afterwards at around 12.30pm. The 2015 Week of Prayer for Christian Unity will be held between Sunday 18th and Sunday 25th January. 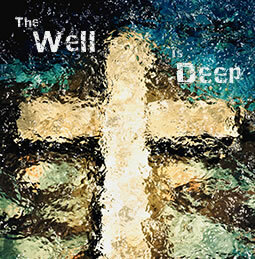 Kay Brown, a Reader with The Church of Scotland living in Falkirk, has written her first book which is a collection of meditations for Lent and Easter. Falkirk Christian Bookshop is pleased to be hosting a launch event for Kay’s book. This will include Kay reading from her book, a chance to meet and speak with her and have your book signed as well as partaking in refreshments. This event will take place on Saturday 19th January at 2pm in The Falkirk Christian Centre, 1 Glebe Street, Falkirk, FK1 1HX – upstairs from the bookshop. A letter signed by the Very Rev Andrew McLellan, Convener of the Church of Scotland’s World Mission Council, and the Rev Ian Galloway, Convener of the Church of Scotland’s Church and Society Council has been sent by the Church of Scotland and will be read out at a three-hour rally in Trafalgar Square, London on Sat 10th March. The rally, which has been organised by the British Pakistani Christian Association, will commemorate the first anniversary of the killing of Shahbaz Bhatti, Pakistan’s Minister for Minorities Affairs, demand the release of Asia Bibi, a Christian woman convicted under Pakistan’s Blasphemy Law and call for the repeal of that Law. The letter states the Blasphemy Law that “was designed to protect people of all faiths and to promote respect for all religions is being used to intimidate and terrorise minority faith communities in the Islamic Republic of Pakistan” and urges the Government of Pakistan to repeal it. Read more. If you always wanted to know about God… but were afraid to ask – then www.godsearchscotland.org.uk might be a good place to start. Welcome! You’re not the only one who’s maybe wondering whether God is really still credible in the 21st Century. After all, given scientific reasoning, loads of other beliefs, all the suffering in the world, and – yes, we admit it – the church itself sometimes, can anyone still believe in God and Jesus Christ and all that Christian religious stuff, without switching their brain off? We believe the answer is “Yes!” And we invite you to join our journey.